Awkward Book of the Month Club: Live Alone and Like It – Unleashing the Cougar! Captain Awkward strikes again, this time with a witty and thoughtful review of an ancient book that may strike a chord with people 80 years later! How To Live Alone And Like It already has a snappy title on its side, and just a few lines into reading the Captain’s review, I decided it was worth sharing to new generations of people finding themselves single either by choice or by circumstance. Some excellent advice here, so read on if you dare. This is a first in what I hope will be a monthly series of book reviews of classic advice/self-help literature. 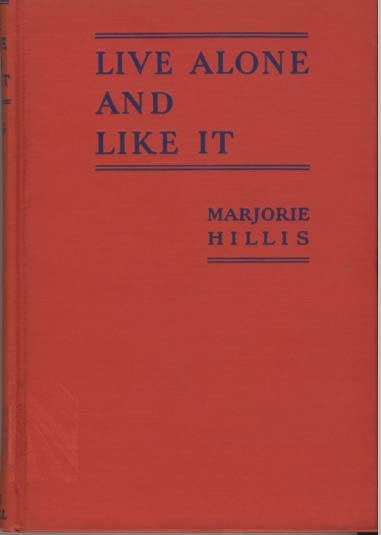 Since I am about to live alone again, after a year of living with a romantic partner and umpteen years of roommates, it seemed apt to pull out the 1936 bestseller Live Alone and Like It: A Guide for the Extra Woman by Marjorie Hillis. My copy is a 1936 first edition, as pictured, and has some extremely literal margin notes from someone who either bought it or received it as a gift (awkward) in 1951. Yes some classic and unexpected lines!